Today, we enjoyed making ☘️Shamrock Persons ✂️DIY 💚Craft from recycled toilet paper rolls, green ribbons and cut out shamrock templates. We are using a common ☘️ three-leaf shamrock (not the lucky four-leafed clover) since children decided that this year they do not wish to catch a Leprechaun, but rather they are hoping to become friends with him. You will need ♻️ toilet paper rolls, green ribbon, shamrock cut outs & googly eyes. Self-adhesive eyes are easy to peel and stick. Green pipe-cleaners and one green bead at the end will become hands. Adrian did a similar craft here "Shamrock☘️ Pipe Cleaners & Beads Craft". Blue & pink pipe cleaners become Shamrocks'👦🏼👧🏻 mouths. 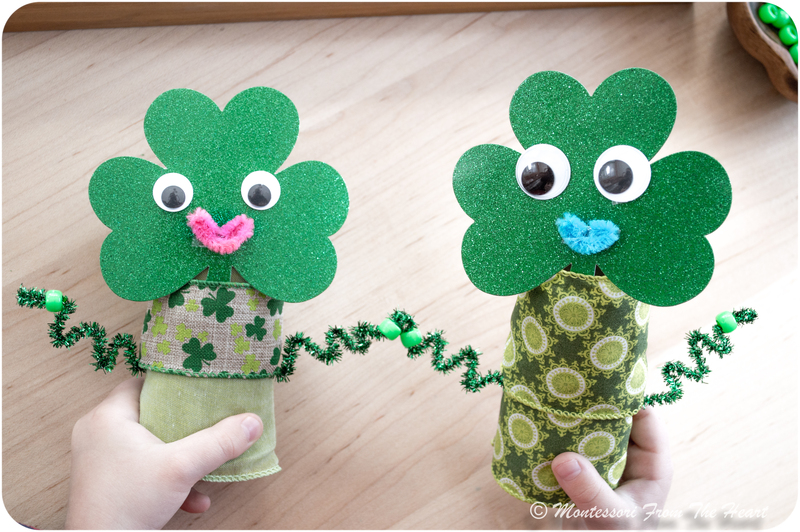 Meet our ☘️Shamrock✂️DIY♻️Recycled 🚽Toilet Paper Roll👧🏻👦🏼Persons. For more on St. Patricks Day inspired hands-on fun, see here ☘️St. Patrick's Day Kids Activities.